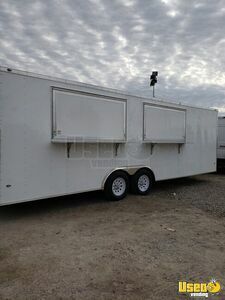 NEVER USED 2019 - 8.5' x 24' Food Concession Trailer for Sale in Illinois!!! A great place for you to start your own food/drink trailer business is inside this JUST built and never used 2019 model concession trailer that is 8.5' x 24'! More details can be seen below. 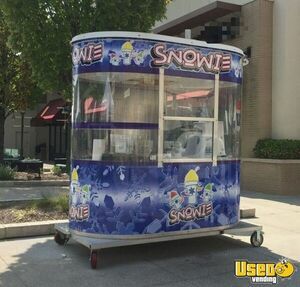 Used Snowie Shaved Ice 5' x 8' Kiosk for Sale in Illinois! Snowie! One of the best known and most attractive snoball kiosks on the market today. This one is 5' x 8' and is in very good condition. This is the basic shell and you will need to add your own ice shaver & flavors. See details. 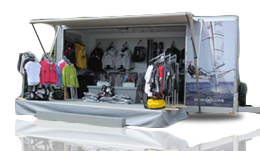 This is a compact mobile food concession unit that can help you reach the big time success! This is a very good condition 8' x 6' Otterbacher manufactured professional stand. Standing height of 6'5. 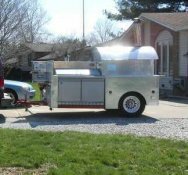 2017 8.6' x 16' BBQ Concession Trailer with Smoker Trailer for Sale in Illinois! Take grilling to a whole new level! 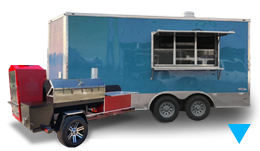 Show everyone your signature take on street food business with this 2017 model, 8.6' wide and 16' long BBQ concession trailer that comes with a Peoria smoker trailer! See full details down below. 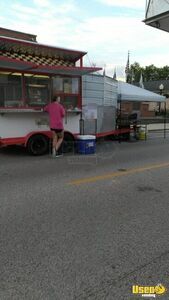 7.5' x 16' Food Concession Trailer for Sale in Illinois!!! Here's a great business starter that's available for you! 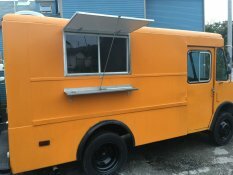 This is a 7.5' wide and 16' long food concession trailer that is in like new condition. Go check out more details down below. 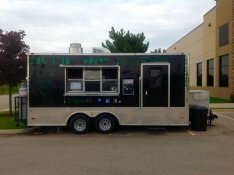 8' x 15' Food Concession Trailer for Sale in Illinois!!! 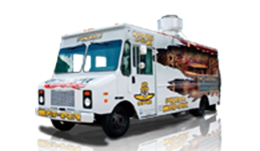 Your excitement in mobile food concession business is best paired with this awesome food concession trailer! 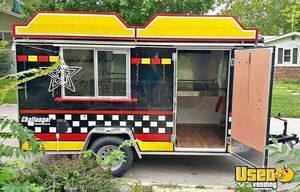 Check out more details and features of this 2002 8' x 15' mobile food concession unit down below. 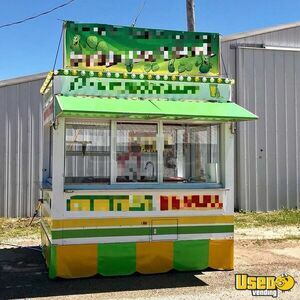 10' x 20' Kettle Corn & Shakeup Concession Stands / Tents for Sale in Illinois! A great turnkey deal is coming your way! 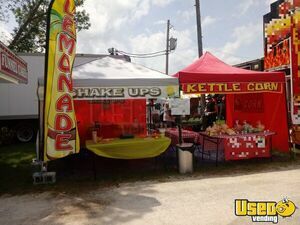 Grab these (2) kettle corn & shakeup concession stands / tents that are ready for your street food business venture! These concession stands / tents are 10' wide and 20' long. More details and features are shown below. 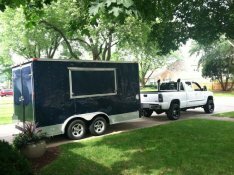 2018 - 8.5' x 24' Concession Trailer for Sale in Illinois!!! 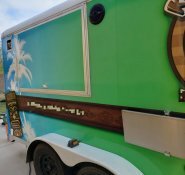 Got an awesome trailer business idea? This one's right for you! 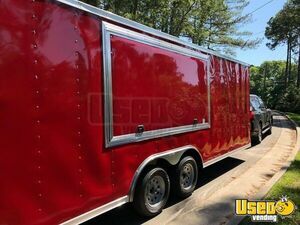 This is a 2018 model 8.5' wide and 24' long concession trailer that is brand new! 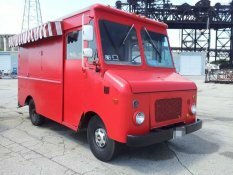 This is a great place to start your food trailer / mobile trailer business. Check out more details below. 2014 - 6' x 18' Food Concession Trailer for Sale in Illinois!!! Be part of the street food business scene! 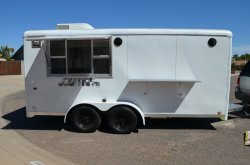 Start your own mobile food concession business with this 2014 6' wide and 18' long food concession trailer! 8' inside height. See more features below. 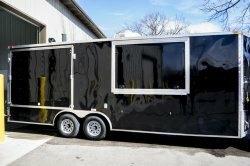 2017 Food Concession Trailer for Sale in Illinois!!! 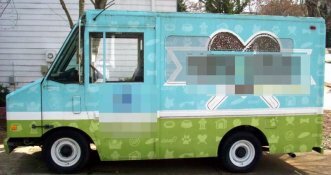 Make your mark in the street food business scene when you start your own mobile food concession business with this 2017 model food concession trailer! Check out more details below. 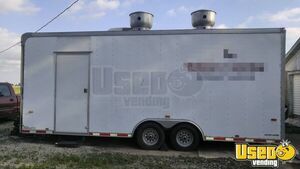 8' x 18' Food Concession Trailer for Sale in Illinois!!! 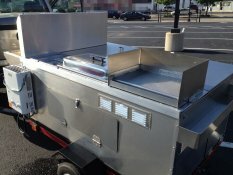 This mobile food concession unit can be the start of your food concession trailer business venture! 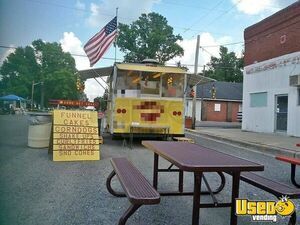 Grab this very good condition 8' x 18' food concession trailer now! More details shown below. 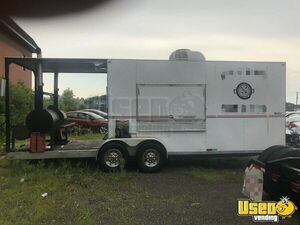 2015 - 30' BBQ Concession Trailer with Porch for Sale in Illinois!!! 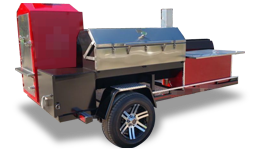 Travel the city with your signature steaks and chops when you start your own mobile BBQ concession business with this 2015 model BBQ concession trailer with porch that's 30' long! See more details below. 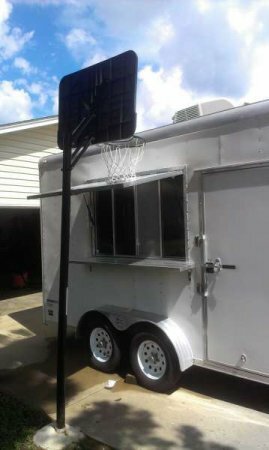 8' x 17' Food Concession Trailer for Sale in Illinois!!! If you're in the market for a great business starter? This one might be the right unit for you! 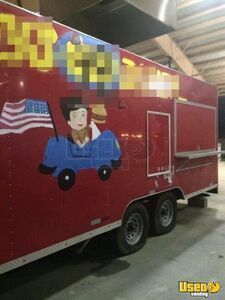 This is an 8' wide and 17' long food concession trailer that is in fair condition. More details are shown below. 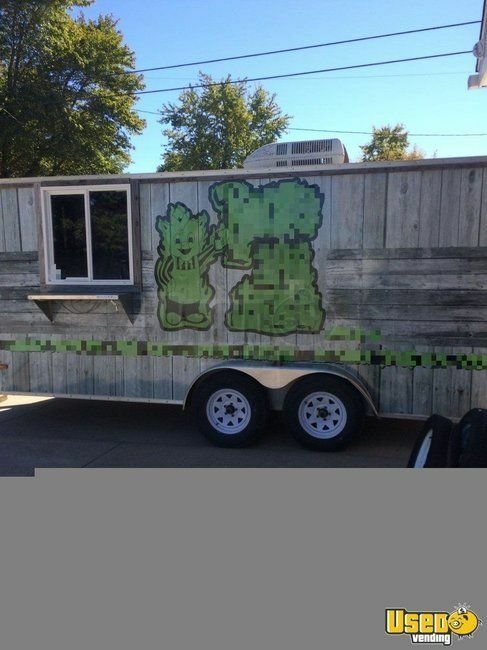 8.6' x 20' Food Concession Trailer for Sale in Illinois!!! There's a world out there that is ready for your awesome cooking! 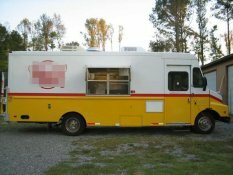 Get this 2009 model 8.6' x 20' food concession trailer and share your culinary creativity! Efficiently laid out, it is able to serve breakfast, lunch & dinner to large & small crowds. More details shown below. What we have here is an awesome deal that you can't simply ignore! Trailer is a 26' SYBB trailer and Smoker dual axle with electric brakes; has cedar siding exterior & step up service window. 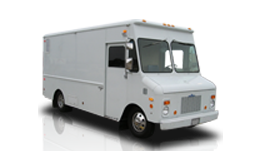 Truck is a 1999 Nissan Refer Box Diesel that has 68,000 miles on its engine. May purchase truck & trailer separately or together! 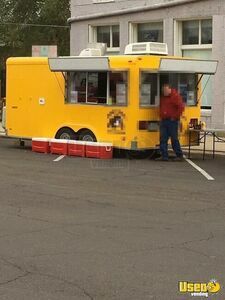 8.5' x 22' Mobile Kitchen Food Concession Trailer for Sale in Illinois!!! 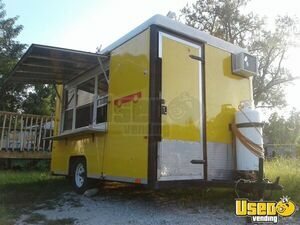 For Sale in Illinois - This is a 2007 - 8.5' x 22' Mobile Kitchen Food Concession Trailer. Unit has 12' of exhaust hood. Check out more details below. 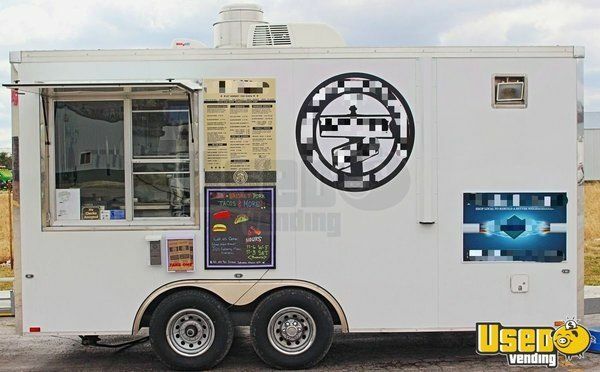 For Sale in Illinois - This is a 8' x 16' Food Concession Trailer that has 10' of inside standing height. Unit comes with a concession stand and a Chevy Step Van to haul the trailer. See more details below. Was very happy with your service. Would definitely recommend you. Was very happy with your service. You were right on my questions and requests. Very pleasant to work with. Would definitely recommend you. From the get-go, the folks at UV were there to help. Thanks, Wendy and the good folks at UsedVending. 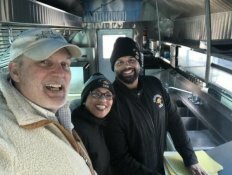 Food Trucks can be a very rewarding business; it can also be very demanding work. There are times when physically and mentally, you decide to move on. Easily said. Now to sell your good friend? I heard about UsedVending and decided to give it a try after working on my own for a couple of months. From the get-go, the folks at UV were there to help with ideas, photo selection and expectations. Due to a prior business relationship, some of the requisite paperwork was not in good order. Wendy, my representative at UV, did an outstanding job of assisting me in getting all necessary paperwork involving proper registration and titling in 2 states! I'm certain I was a difficult case for selling; however, UV stuck with me and I had more interest created through them in a very short period of time, than I had experienced for months. And now my Montana Beast has a new family to work with in Wolverine territory! Thanks, Wendy and the good folks at UsedVending. 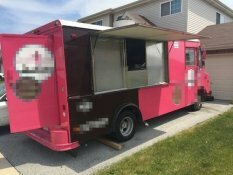 My sister and I recently made the decision to get into the food concession business. 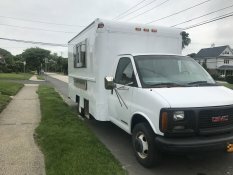 I came across this website and saw a trailer that looked like just what we needed to start our new venture. Bradley was my contact person at UsedVending and was so great to work with!! He ensured the title/registration was up to date and everything on the concession trailer was as advertised. 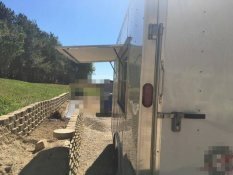 We drove over 400 miles to look over the trailer and purchased it then and there! The seller was very motivated and gave us detailed explanations and demonstrated all the equipment. The overall experience was awesome! I’m so grateful to have come across this site and highly recommend other prospective buyers to check out UsedVending! 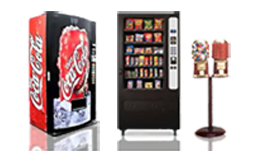 UsedVending,are professionals in this business, to sell or buy any equipment I recommend UsedVending and remember this name WENDY BYRD. Wendy knows the business inside out, Wendy will go above and beyond to make her client satisfied. Thank you Wendy. Thank you again it has been a pleasuring experience. Melissa, I really want to thank you for all your assistance in selling. You are a fabulous, patient, & understanding person. Thank you again it has been a pleasuring experience. Usedvending .com does the job again. I have used them several times to sell equipment and they do a great job. Wendy was very helpful and had our interest in mind. She was very through on how the process works and was able to get us top dollar. We will always use Usedvending.com for any sales we need. I appreciate your time and patience, I know it takes a person of extreme professionalism to do this job - I highly recommend the company and specifically Melissa Powers. The buyer came up fully qualified and with a check in hand. I'd used their services and I found the process to be quite user-friendly. Â€ My experience with Wendy from USEDvending.com was excellent. This was the first time I'd used their services and I found the process to be quite user-friendly. Wendy was very knowledgeable and helpful serving as the go-between. She kindly answered all of my questions, followed up via email, phone and text (which was very handy) and ultimately worked hard to make sure both the buyer and I were satisfied. This is a service I 'd definitely recommend to others and if I find I have more equipment to sell, I'll definitely reach out to Wendy and her team. Melissa, I would like to thank you for our experience in dealing with UsedVending.com. It was a pleasure working with you and the service you folks provide is very beneficial. You bring willing sellers together with willing buyers and the transaction can happen relatively very quickly. The gentlemen that I worked with was a pleasure to deal with, he was obviously motivated to make the sale happen. This was indicated very quickly after you had asked him what his best price was and then he got back to you right away with my many questions. For what we were looking at a mobile brick oven trailer we were able to get into a turn-key business for literally 1/3 of the price vs having to go with brand new. Huge thanks once again for all your help and putting this together. We received our truck last week, and are very pleased with it. Stacy Sweet was extremely helpful with locating the best truck for our needs. He took a lot of time to assist us along the way. 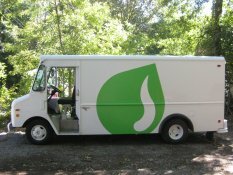 We received our truck last week, and are very pleased with it. We think it will be the first of many more. Thanks Stacy! Mellissa was great to work with. She was real patient and knowledgable. 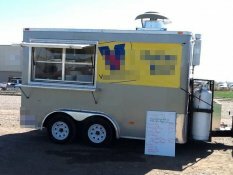 She matched a buyer for our food trailer perfectly and we received full price! We are very satisfied!! !